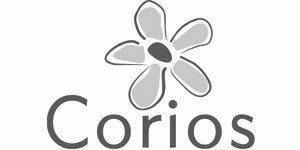 Corios (formerly Natural Collections) is a wholesaler specialized in natural articles. At Corios you will find an extensive assortment of exotic branches, leaves, shells, wreaths, foam flowers, and seasonal items for Christmas and spring. In addition, they offer a collection of wooden trays, planters, and decorative items at very competitive prices! From the beginning of 2017, Corios expanded its range at Trends & Trade with an additional collection: Dijk by Corios. The interior collection by Dijk is characterized by rustic wooden elements. You will find a diverse range of raw wooden bowls, coarse wooden sculptures, wooden photo frames, and more decorative materials in the same style.